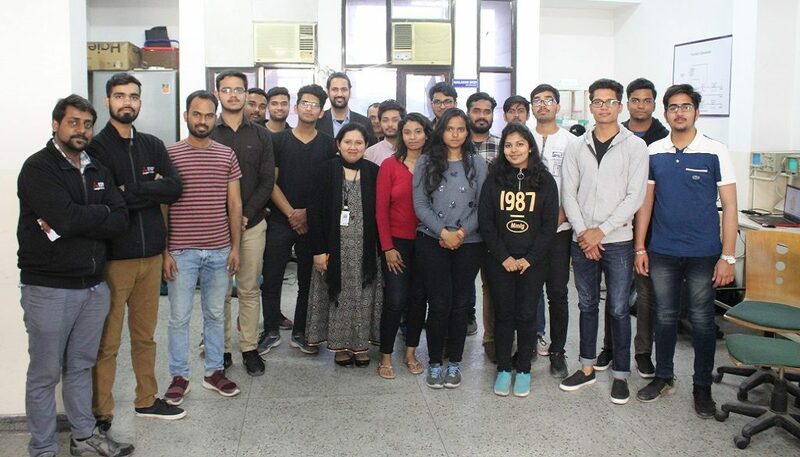 Manav Rachna Innovation & Incubation Center (MRIIC) in association with Texas Instruments India University Program team, Department of Electronics and Communication Engineering, FET, MRIIRS Technoplanet lab organized Makeathon 2019 on March 25 and 26, 2019 for the students of MRIIRS and MRU. The event was coordinated by Mr. Umesh Dutta, Deputy Director, MRIIC and Dr. Abhiruchi Passi HOD- ECE, FET, MRIIRS. 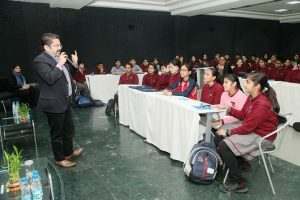 Prior to the Makeathon, a Workshop was conducted on March 8, 2019 to impart skills to the students in Electronic Hardware Designing, 3D Printing, App Development and web technologies. 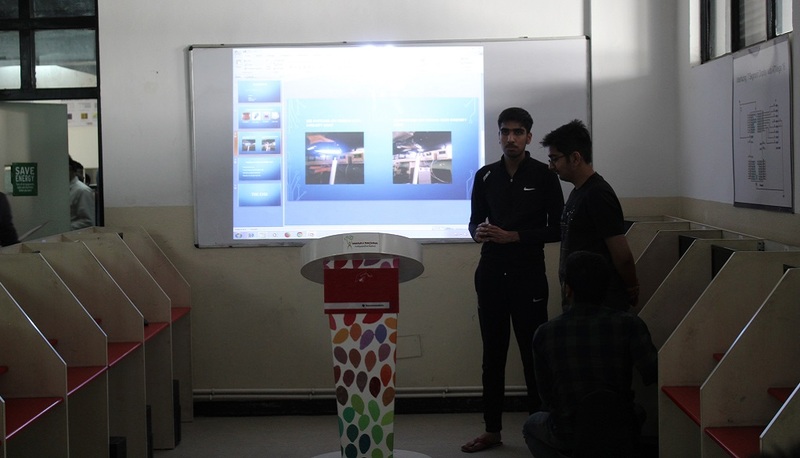 The aim of the Workshop was to impart the required skill set so that the students are able to compete in the Makeathon and develop prototype of the Problem statement assigned to them on the day of Makeathon. 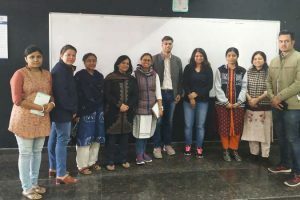 The participants of the Workshop were grouped into a team of 4 with one student each from the above mentioned Domains so that they are able to use the skills acquired during the Workshop. Dr. B s Gill (Director, Parimukh Innovations), Mr. Dalmia Nikhil (Manager Operations, Techno Planet Lab Pvt Ltd.), Mr. Rakesh Sethi (Director, Hyfn Games) and Ms. Mudra Rastogi (Manager Operations, Hyfn Games) were the Judges for the event. Some of the prototypes developed during the Makeathon are Air quality monitoring node, Internet controlled extension board, smart RFID based access control system, electronic pill box, Health monitoring system, BMI Machine, Pharmaceutical vending machine, IoT based voting machine, LPG cylinder stand, Quadcopter etc. The first prize for the Event went to the Health Monitoring System which was developed by Vivek Saini, Parul and Ashish (2nd and 4th Sem CSE students from MRU). The second prize for the event went to Bicycle Rental System which was developed by Ritick Sethi, Chandan Taneja, Ravi Prakash and Sarthak Sharma (2nd Sem ECE and CSE students from MRIIRS and MRU respectively) and the third prize went to Air quality Node developed by Sachin, Prince and Lakshay Nagpal (4th Sem ECE and 2nd Sem CSE students from MRIIRS and MRU respectively). The Best project in Social Innovation Category went to Automated water sprinkler system developed by Subham, Jahnavi and Shourya Singh (4th Sem CSE, 6th Sem CSE and 2nd Sem CSE students of MRIIRS and MRU respectively) and the Best performer of the Makeathon went to Deepak a 2nd Year student from CSE, MRU. The entire team of MRIIC and ECE Department, FET, MRIIRS would like to extend a heartfelt thanks to Texas Instruments and Techno Planet Lab Pvt Ltd for ensuring the smooth conduct of the entire event. 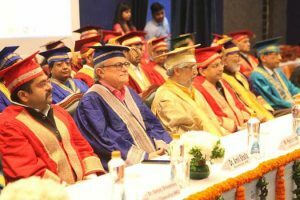 The Microcontroller boards were provided by the Texas Instruments under the aegis of Texas Instruments India University Program.